The lowdown: Run by Maria Scherpe, Stil in Berlin is a photography-centric blog covering the various aspects of city life in the German capital. Whether you’re itching to try a new Italian joint or on the hunt to check out some new vintage stores, the site has you covered. We particularly like the Map tab, which allows users to search places (mentioned on the site) by category or cuisine. 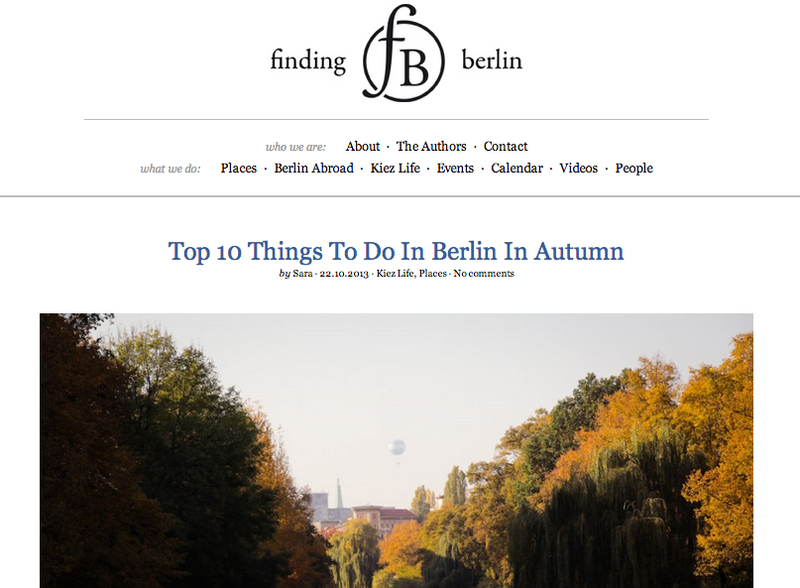 The lowdown: Whether you’ve been in Berlin for a while or are completely new to the city, Unlike’s Berlin guide – which is available on the web and mobile – is a good go-to site for when you’re feeling indecisive. 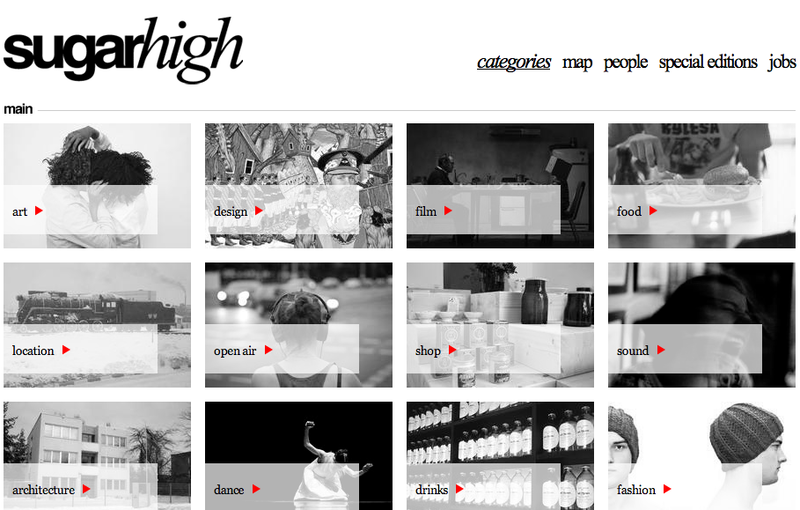 Laid out in a clean grid format, the site also features themed lists by creative professionals living in the city. 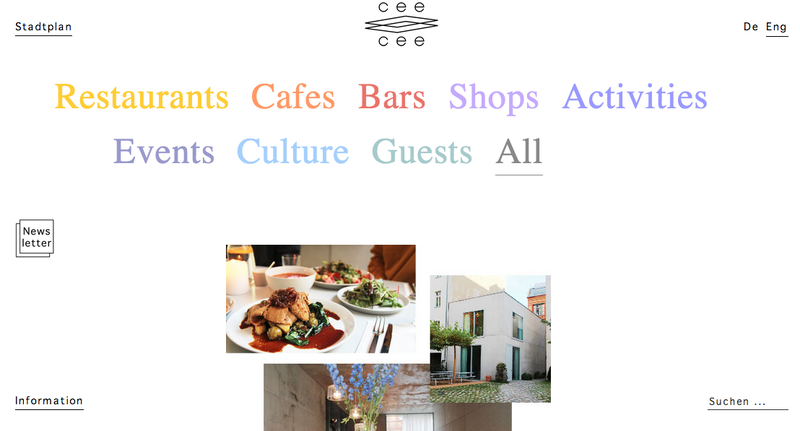 The lowdown: Cee Cee is an email newsletter that goes out every Thursday with a selection of recommendations to keep you clued in on Berlin city life. 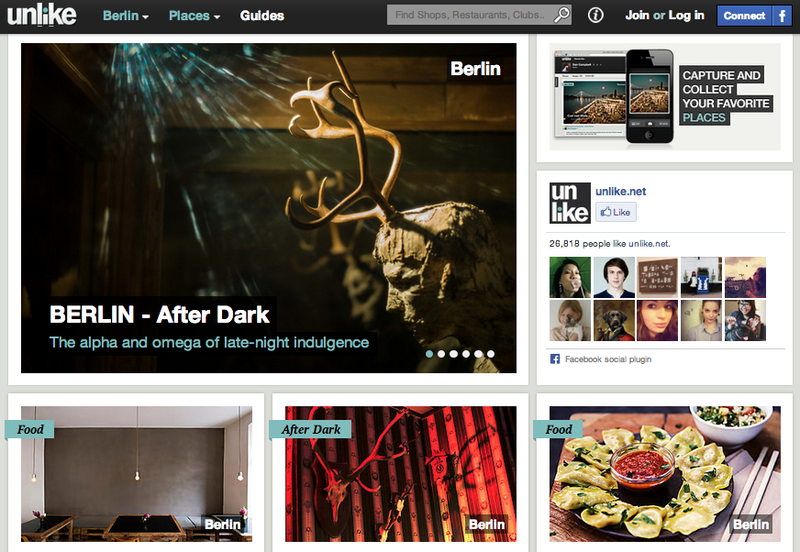 Founded by graphic designer Sven Hausherr and Derzeit Editor-in-Chief Nina Trippel, the site offers bite-sized suggestions spanning the latest photography exhibition in Wedding to a new gin and tonic bar in Mitte. The lowdown: Published monthly, there’s no shortage of cultural listings and colourful interviews in the long-running English-language magazine (or on its website). 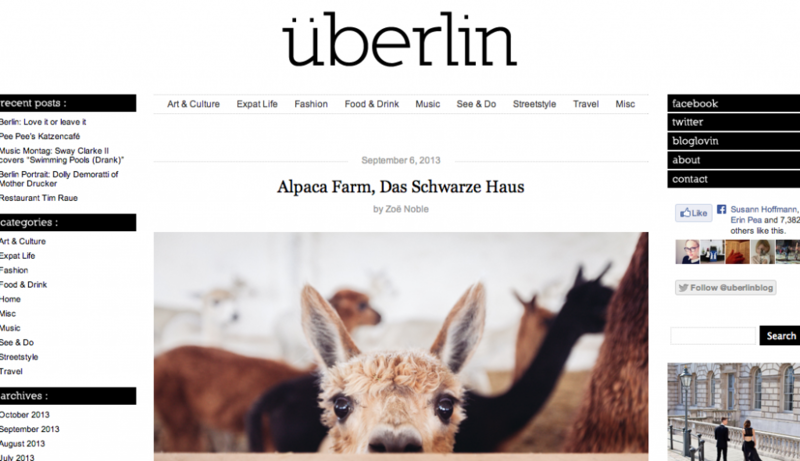 The lowdown: Founded by Stylee Gore in 2006, Berlin Reified is a useful resource if you’re thinking of doing a Berlin day trip or on the search for some design-oriented boutiques. 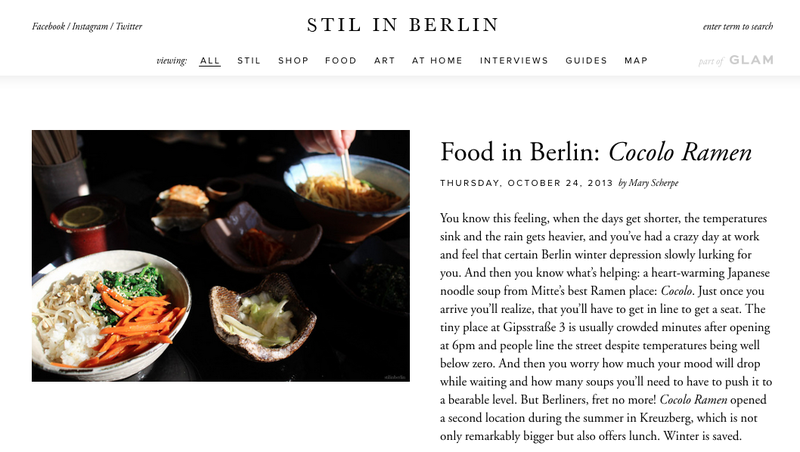 The blog also has a great “Best of Berlin” guide to cafes, bookstores, markets and food shops. 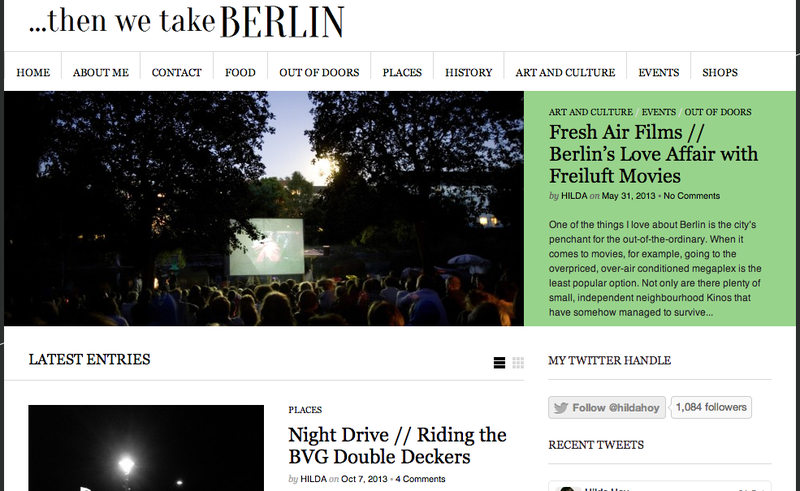 The lowdown: We know that on any given day/night in Berlin, it’s not a question of “What’s happening tonight?” but rather a matter of “What’s happening that I care about tonight?” With that in mind, it’s nice to get a daily dose of cultural picks delivered to our inbox from the Sugarhigh team. 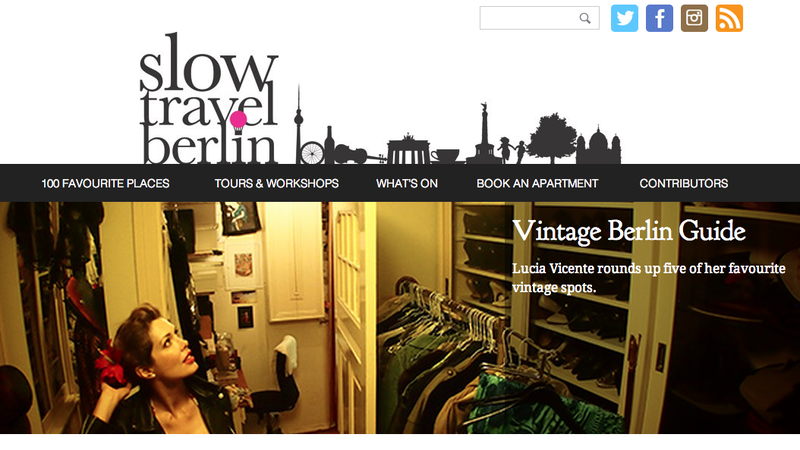 The lowdown: Hilda Hoy – a freelance writer/editor/translater and formerly the Managing Editor of Sugarhigh – recently launched the blog, which is mostly about “exploring the many rich textures of Berlin, with an eye for the offbeat and off-the-beaten-track”. We’re already excited to check out a piano salon in Wedding that she wrote about here. The lowdown: Hailing from London, freelance writer James and photographer Zoë are the duo behind überlin, a blog documenting their experiences living in Berlin. 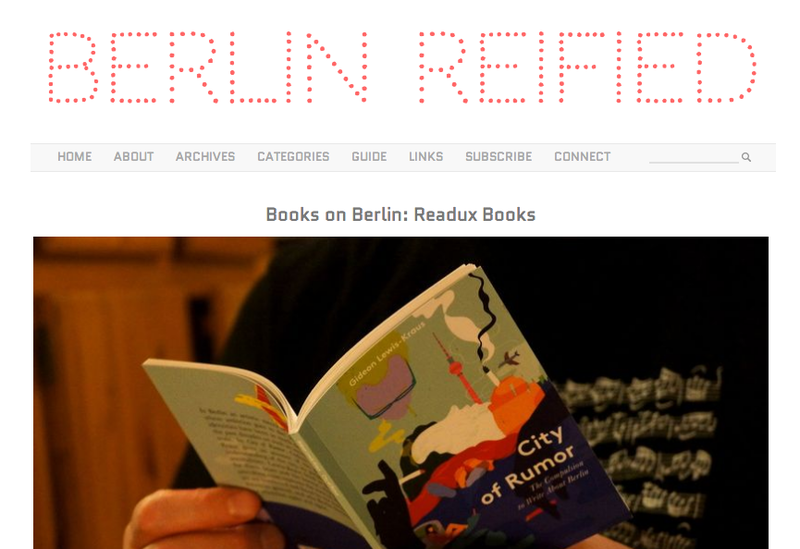 From heartfelt pieces on the evolving attitudes towards Berlin to where to find a comforting cat café, the site offers a multi-faceted snapshot of what it’s like to live in the German capital. The lowdown: Inspired by the Slow Food movement, Slow Travel was founded by British guidebook author and travel journalist Paul Sullivan, in 2010, with the aim of encouraging people to travel deeper and more mindfully. 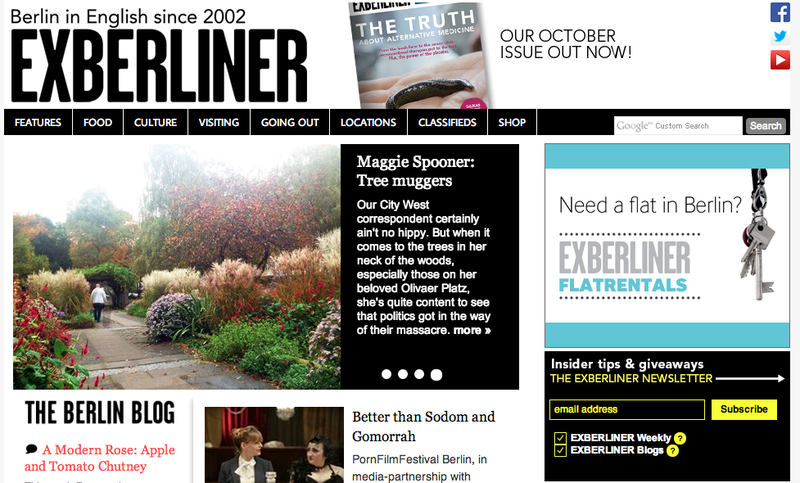 The lowdown: Finding Berlin is an online magazine dedicated to capturing Berlin’s development and cultural diversity. 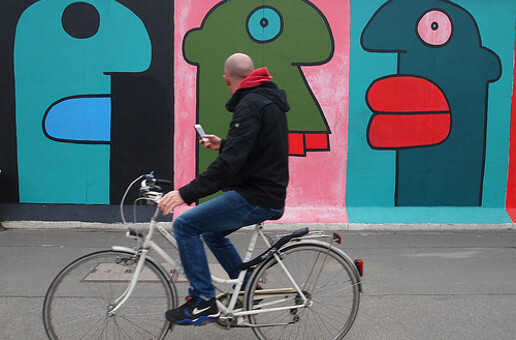 It hopes to offer readers a refreshing perspective of what the city is about.